North by northwest from old Santa Fe is the winding road to Abiquiu (ah-be-cue'), Ghost Ranch, and el Valle de la Piedra Lumbre, the Valley of Shining Stone: mythical names in a near-mythical place, captured for the ages in the famous paintings of Georgia O'Keeffe. O'Keeffe saw the magic of sandstone cliffs and turquoise skies, but her life and death here are only part of the story. Reading almost like a novel, this book spills over with other legends buried deep in time, just as some of North America's oldest dinosaur bones lie hidden beneath the valley floor. Here are the stories of Pueblo Indians who have claimed this land for generations. Here, too, are Utes, Navajos, Jicarilla Apaches, Hispanos, and Anglos—many lives tangled together, yet also separate and distinct. Underlying these stories is the saga of Ghost Ranch itself, a last living vestige of the Old West ideal of horses, cowboys, and wide-open spaces. Readers will meet a virtual Who's Who of visitors from "dude ranch" days, ranging from such luminaries as Willa Cather, Ansel Adams, and Charles Lindbergh to World War II scientist J. Robert Oppenheimer and his colleagues, who were working on the top-secret atomic bomb in nearby Los Alamos. Moving on through the twentieth century, the book describes struggles to preserve the valley's wild beauty in the face of land development and increased tourism. Just as the Piedra Lumbre landscape has captivated countless wayfarers over hundreds of years, so its stories cast their own spell. 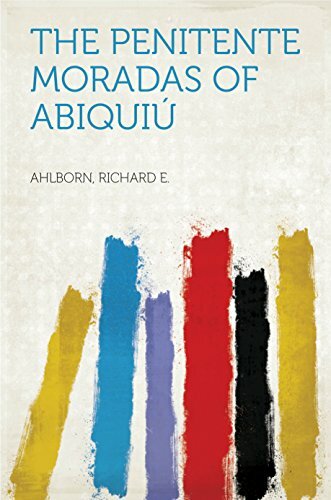 Indispensable for travelers, pure pleasure for history buffs and general readers, these pages are a magic carpet to a magic land: Abiquiu, Ghost Ranch, the Valley of Shining Stone. 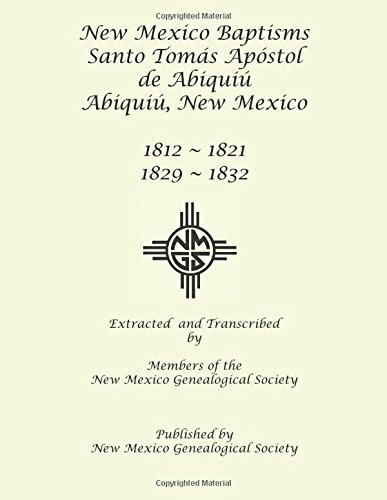 This essential volume of extracted Abiquiú baptisms is from recently discovered parish registers. These records have never been published or inventoried before now. Place names mentioned included Abiquiú, Barranco, Cañon, El Rito, Ojo Caliente, Vallecito, and other nearby settlements. The fully indexed records often include the names of grandparents. "When I got to New Mexico that was mine. As soon as I saw it that was my country.” Beginning with her teaching career in Texas, through her time in New York City and Lake George, and ending at her two desert ranches in New Mexico, this sumptuous life history explores the influence of the various landscapes and cities inhabited by Georgia O'Keeffe on her life and artwork. 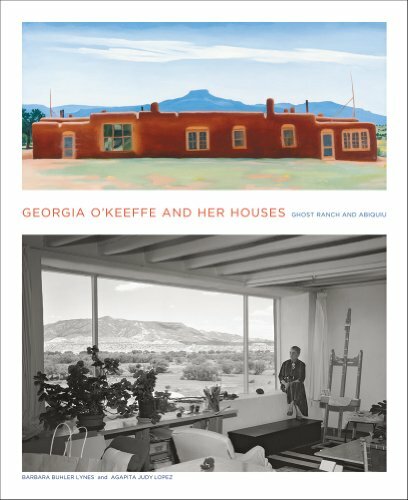 Fully illustrated throughout, the book features Georgia's own drawings and paintings together with archival imagery of her houses, friends and family – many of the photographs taken my notable contemporaries, including her husband Alfred Stieglitz – from the Georgia O'Keeffe Museum in Santa Fe, New Mexico. 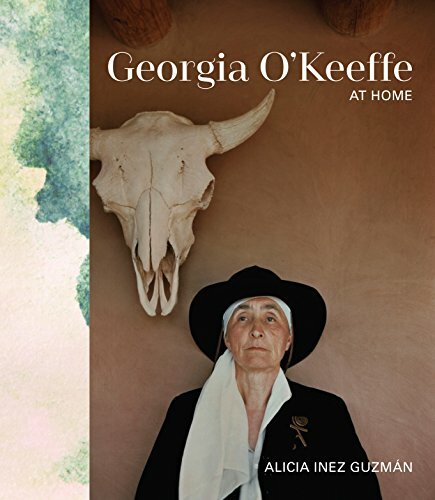 Georgia O'Keeffe at Home is a fascinating glimpse into the world of one of the most significant and intriguing artists of the twentieth century. 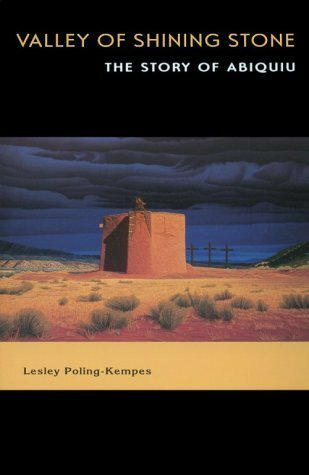 The little-studied witchcraft trial that took place at Abiquiu, New Mexico, between 1756 and 1766 is the centerpiece of this book. The witchcraft outbreak took place less than a century after the Pueblo Revolt and symbolized a resistance by the Genízaros (hispanicized Indians) of Abiquiu to forced Christianization.The Abiquiu Genízaro land grant where the witchcraft outbreak occurred was the crown jewel of Governor Vélez Cachupín's plan to achieve peace for the early New Mexican colonists. They were caught between the Pueblo Indians' resistance to Christianization and raids by the nomadic indio barbaros that threatened the existence of the colony. 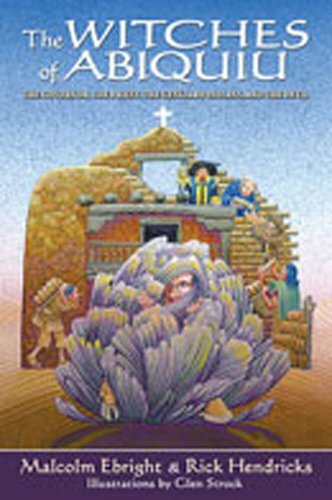 Thanks mainly to the governor's strategy, peace was achieved with the Comanches and Utes, the Pueblo Indians retained their religious ceremonies, and the Abiquiu Pueblo land grant survived and flourished.The Witches of Abiquiu is the story of a polarizing event in New Mexico history equal in importance to the Salem witchcraft trials of 1692.